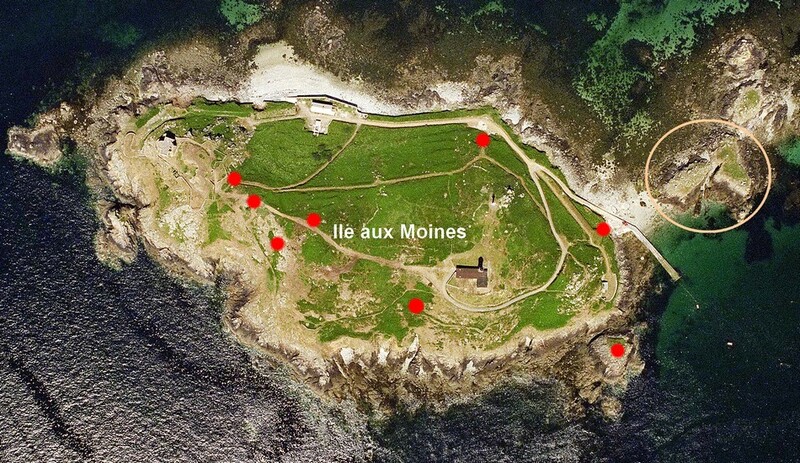 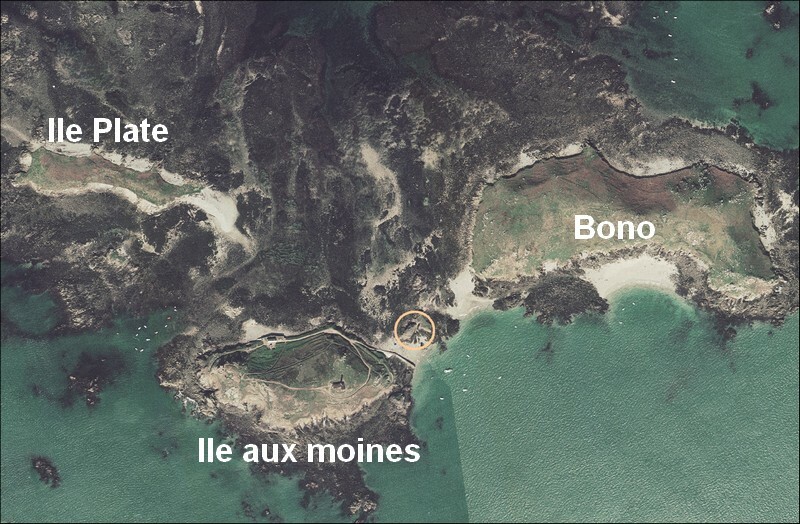 Our Sept Îles correspondent Regis Perdriat from the LPO Station at Île Grande in Brittany reports that the choughs are still out on the islands. 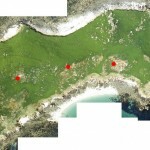 The last 3-4 surveys, have seen the choughs feeding on the same islet (the circle on the photos). 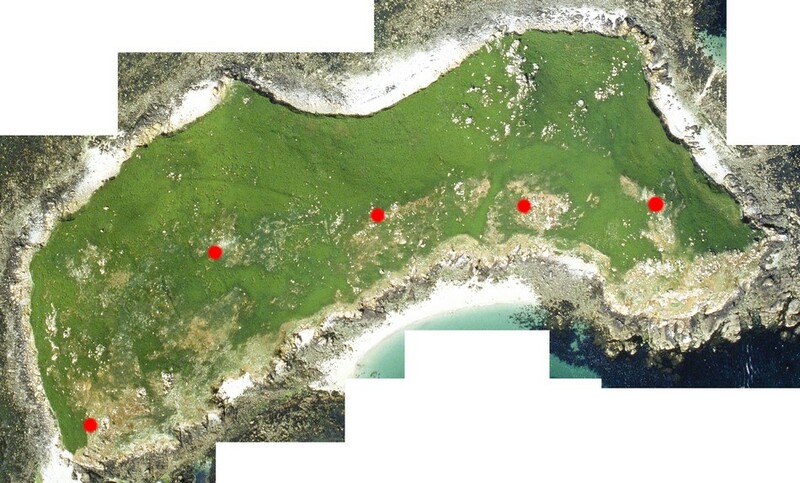 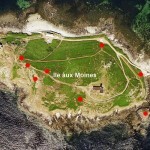 The red spots show some of the places where the three birds were found before now. 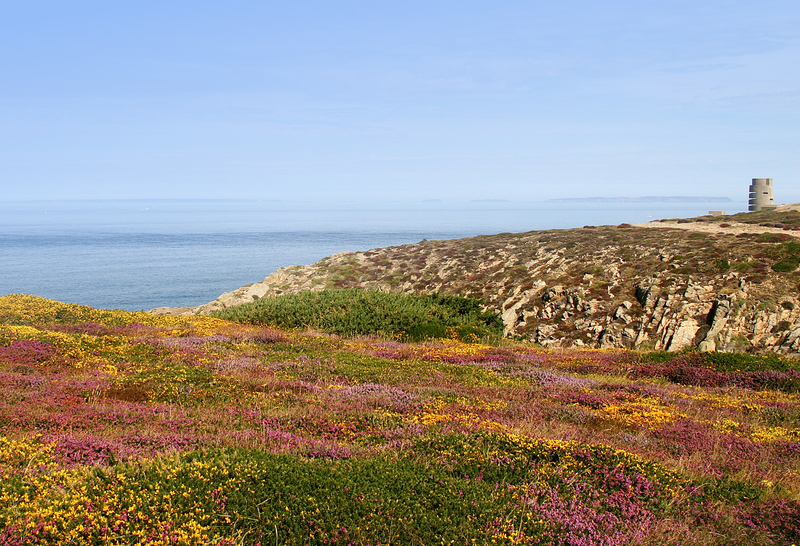 The choughs were even observed to chase away a raven that came around to have a look.